The car show will be open to the public—rain or shine—from 8 a.m. to 5 p.m. on Friday and Saturday and from 8 a.m. to Noon on Sunday. An awards ceremony will follow the closing of the show, Sunday at Noon. Admission to the event is $3 for guests ages 4 and up. Proceeds will benefit the Humane Society Pet Rescue and Adoption Center. Guests will be able to enjoy a variety of vendors and classic cars at Wheels on the Hill and can enter for door prizes and cash prize giveaways on Friday and Saturday, including the chance to win a new 350 Chevy small block/short block motor from 7B Motor Sports. 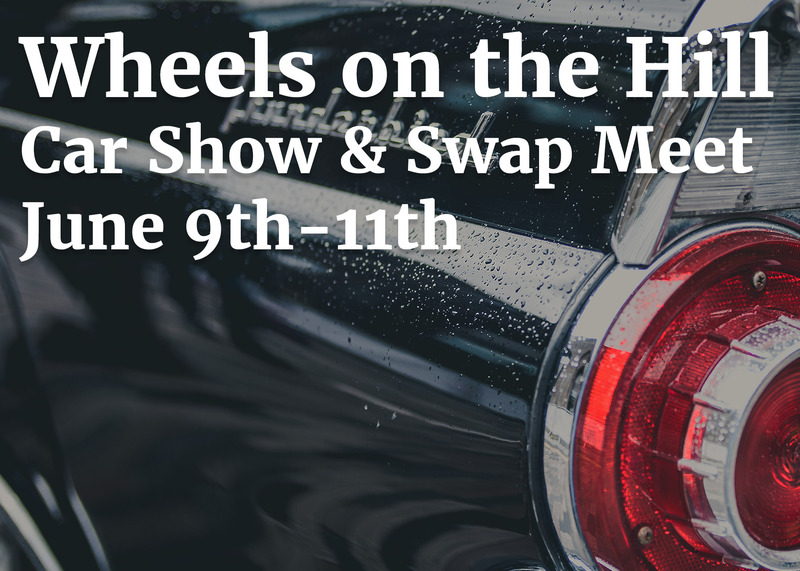 Registration for Wheels on the Hill is open now through June 9. Vendor registration closes at 5 p.m., and car registration closes at Noon the following day, June 10. Set up begins Thursday, June 8 at 8 a.m. Participants can also register for the 2018 show on Sunday, June 11. For more information, contact the Noccalula Falls Park and Campground office at (256) 549-4663.